The year that Knauss - now first lady Melania Trump - got her legal residency, only five people from Slovenia received green cards under the EB-1 program, according to the State Department. WASHINGTON: In 2000, Melania Knauss, a Slovenian model dating Donald Trump, began petitioning the government for the right to permanently reside in the United States under a program reserved for people with "extraordinary ability." Knauss' credentials included runway shows in Europe, a Camel cigarette billboard ad in Times Square and - in her biggest job at the time - a spot in the swimsuit edition of Sports Illustrated, which featured her on the beach in a string bikini, hugging a six-foot inflatable whale. In March 2001, she was granted a green card in the elite EB-1 program, which was designed for renowned academic researchers, multinational business executives or those in other fields, such as Olympic athletes and Oscar-winning actors, who demonstrated "sustained national and international acclaim." "We called it the Einstein visa," said Bruce Morrison, a former Democratic congressman and chairman of the House subcommittee that wrote the Immigration Act of 1990 defining EB-1. In all, of the more than one million green cards issued in 2001, just 3,376 - or a fraction of one percent - were issued to immigrants with "extraordinary ability," according to government statistics. Melania Trump's ability to secure her green card not only set her on the path to U.S. citizenship, but put her in the position to sponsor the legal residency of her parents, Viktor and Amalija Knavs. The Washington Post reported earlier this month that the couple is now close to obtaining their own citizenship. President Donald Trump has proposed ending the sponsorship of relatives such as parents, slamming as "chain migration" the decades-long ability of U.S. citizens to assist relatives in obtaining legal residency. "CHAIN MIGRATION must end now! Some people come in, and they bring their whole family with them, who can be truly evil. NOT ACCEPTABLE!" Trump tweeted in November. "Mrs. Trump was more than amply qualified and solidly eligible," he said. But he declined to discuss the qualifications that the first lady cited in her petition for permanent residency. "There is no reason to adjudicate her petition publicly when her privacy is so important to her," Wildes said. Immigration experts said the president's efforts to restrict legal immigration spotlight lingering questions about how the first lady and her family members obtained residency in the United States. "What did she submit?" asked David Leopold, an immigration lawyer and a past president of the American Immigration Lawyers Association. "There are a lot of questions about how she procured entry into the United States." The process of deciding who meets the "extraordinary ability" standard is subjective, said Sarah Pierce, an immigration expert at the Migration Policy Institute, a Washington-based think tank. But it is generally thought that only the top two percent of people in their field would qualify, she said, adding that the "quintessential award you want to put on the application is Nobel Prize." 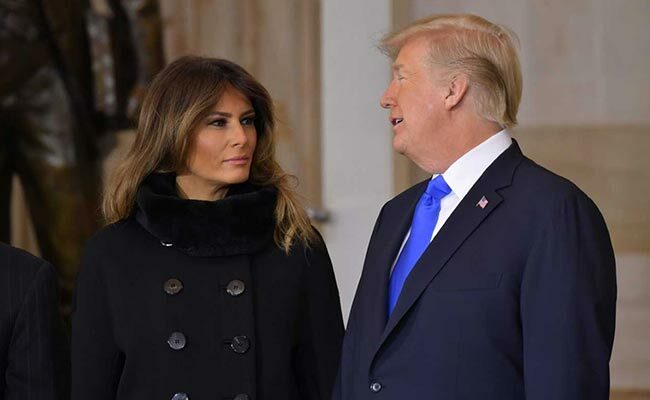 The first lady came to the United States from Slovenia in 1996, first briefly on a visitor's visa and then on work visas, according to Wildes. "She was never a supermodel, she was a working model - like so many others in New York," said one person who knew her in the 1990s and requested anonymity to discuss the first lady's early years in the United States. Under her husband's administration, such temporary visas have been harder to get, dropping by more than 50,000 in 2017 compared with the previous year, according to U.S. Citizenship and Immigration Services. The accompanying article predicted that the political aspirations of Trump - then making a bid for the Reform Party nomination - could transform his Slovenian girlfriend into the first lady of the United States one day. "I will put all my effort into it," she told the magazine, "and I will support my man."